How to draw master Tigress from Kung Fu Panda. Learn to draw cartoon, Master Tigress. This video shows you how to draw a character from Kung Fu Panda. You can click on the labelled buttons below the video to watch the other video of Kung Fu Panda characters. You can scroll down further to see step by step images with instruction. 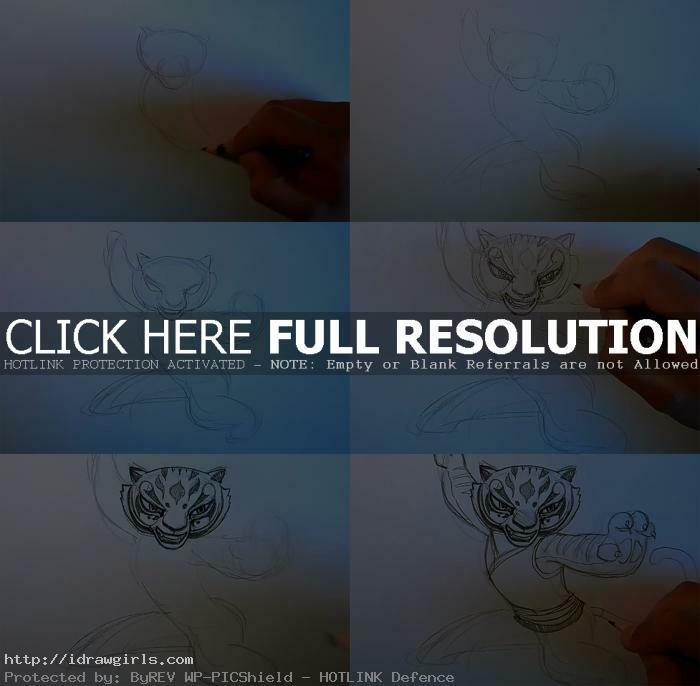 Learn to draw cartoon character master Tigress from video tutorial and step by step images with instruction. The process shows drawing and sketching a character, Tigress, from Kung Fu Panda. It will help you gain knowledge of its cartoon anatomy and dynamics in the positioning of the figure and the details. Master Tigress is the tritagonist of the first film and the deuteragonist of the second. She is the foster daughter of Shifu as well as the unofficial leader of the Furious Five, mastering over the Tiger style of Hung Ga Kung Fu. As a cub, Tigress was an orphan living in the Bao Gu Orphanage. Unsure of what could be done with the tiger cub, the caretakers of the orphanage put Tigress in a separate room from the other children, and summoned the aid of Master Shifu. Here is a final drawing of master Tigress. Watch an art video tutorial, how to draw master Tigress. 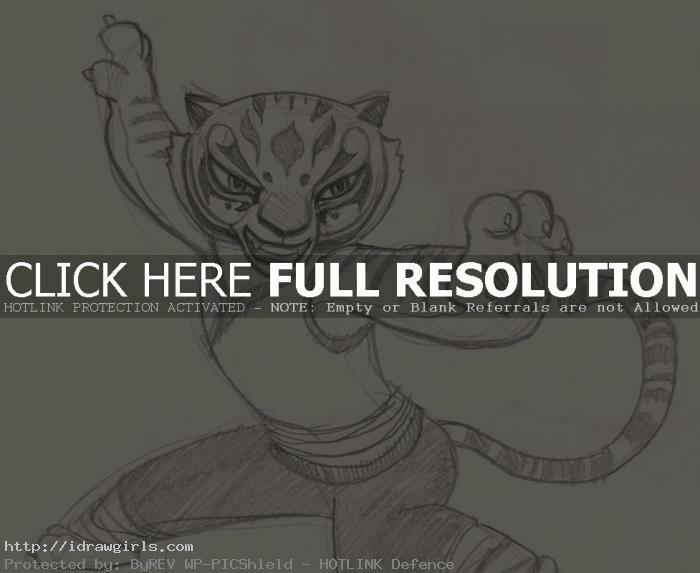 Below are step by step images how to draw master Tigress. Step one, I started with basic shapes for head, snout, and her body. Step two, then I draw both of her arms and legs using just simple shapes. Remember that at this stage, I draw very light so it is easy to correct. Step three, I sketch out her face design roughly. Step four, I then slowly draw the pattern design on her face. Step five, once I have all the design on her face map out with light line drawn, I can draw over with darker lines. Step six, now I do the same with the rest of her body. Watch the video tutorial for more detail and in depth instruction.